League leaders Inglewood United handed Mandurah City a footballing lesson at Securitas Protect Stadium on Saturday, beating them 10-2. Hat-tricks to Chok Dau and Hamza Hina, a double to Victor Brauner, and individual goals to Alex Salmon and Jason Barrera caused the damage as Inglewood swept the home team aside. Ryan Francis managed to grab two goals back for Mandurah, on a day to forget for City. 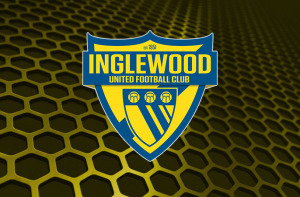 Newly appointed Inglewood coach Andy Keogh was extremely pleased with the victory, crediting the victory to his sides pressing game and effort from his two wingers. Mandurah coach Doug Hesketh could only admire the efficiency of Inglewood’s play. “That’s the standard we are trying to achieve, and that’s probably how far we are off”, Hesketh explained. It took just seven minutes from United to go ahead with an Alex Salmon goal. Brauner doubled Inglewood’s advantage in the 16th minute, hitting a curling shot into the net after some excellent work by Dau. Francis pulled one back for Mandurah in the 23rd minute, sliding in at the near post to get onto the end of an Oliver McGee header. Hamza Hina restored Inglewood’s two goal advantage in the 26th smashing home his shot into the back of the net. The second half continued in the same fashion, and Brauner grabbed his second in the 47th. Hina, not to be outdone, scored his second in the 56th minute, cutting in from the left wing and finished nicely. Mandurah managed to peg another one back with Francis scoring his second in the 66th minute but Inglewood United were far from finished. Dau got his first in the 74th minute as Hina completed his hat-trick four minute later on 78 minutes. In the 84th minute Dau was the second player to score a hat-trick with two goals in two minutes as Barrera snuck on the scoresheet with a goal in minute of the match. The result maintains Inglewood’s position at the top of the league while Mandurah remain on the foot of the table.